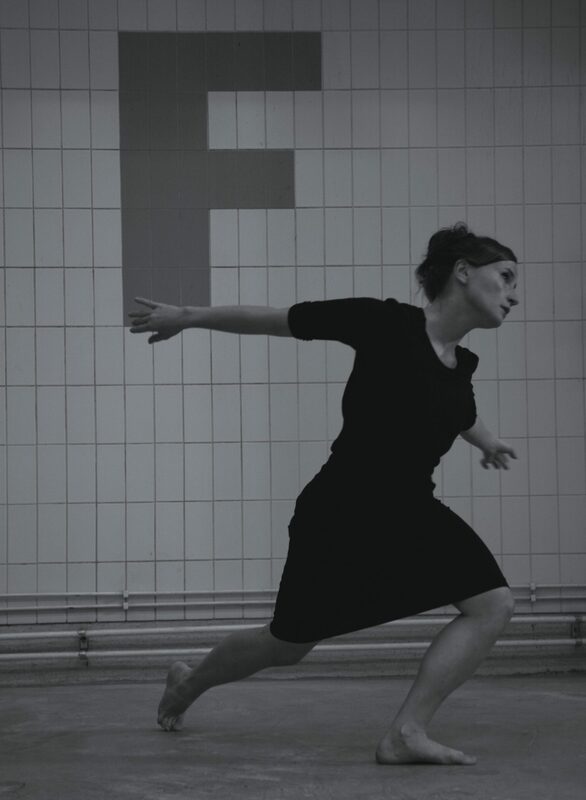 Heini Tuoresmäki is a dance artist and pedagogy based in Helsinki. She’s working in the field of dance in multiple ways and likes to combine dance with different arts. Heini is interested in the being and embodiment of a psychophysical human. In addition to dance, Heini actively creates new and easily approachable culture in the city by organizing events and creating spaces for art. They Build Great Castles is a performance where children are the artists. The work is a praise for curiosity, enthusiasm and free movement. It also speaks for perseverance and common agreements. This dance piece brings them to the stage, whose movement is naturally free and organic. They who are spontaneous and honest to their feelings. They who learn rules designed to create a common good. Through this work we regard the meaning of limits and agreements and give children the freedom to implement their own logic and imagination. Children have been involved in the planning of this piece and it’s characters. OF THE ESSENCE is a performance about being a human in different state of mind. It is a sequel for the dance piece ESSENTIAL from 2010. The same working group came together and observed what has changed in the past eight years in life, movement and our selves or are we still the same. OF THE ESSENCE is a collection of scenes about womanhood. It’s about being and not being from the aspect of five women, five different personalities and life situations. The working method has been work-in-process so the group is constantly open to change. The work relies on bodily experience, hidden habits, packed and forgotten emotions, hanging limbs, self-contained body parts and others hanging around the neck. The work is layered, squeezed and tends to be released. The film looks at the essence of a man by the means of dance and body art. Stylewise, the film makes use of preaching of propaganda as it praises being a man. It romanticises and salutes the man. The content is built around four different male characters, played in the film by one female dancer. For who else could do it as impartially as a woman? Excess material is a layered piece about body mapping. It builds upon solo & duet works by various artists and draws inspiration from coding, technology, voice, and therapy. Every performance gathers and stores data and information from the previous one. A dancer outlines their body map, a picture of which is saved for the viewer. A grand scheme is forming. Once Upon a Time There Was Olijo, a Caribbean frog. After his childhood Olijo had been afraight of water. One night Olijo sees a wonderful dream, in which he sleeps with nice and wavy water. After this dream he decides to begin and like water, but turns out that it’s not easy for him; water drops are pranksters, Banana Leaf is a faithful umbrella-friend and sun shine is so sweet. But Olijo is determined, and soon he gets help from Ahti the expert of all the waters and Ahvenais the water lady. Olijos story is told colourfully in the ways of dance and music. This story takes children and other viewers all the way from dream world into carnival atmosphere. Loneland is gradually completed series of many dance pieces. Pig in the Bag is a constantly changing improvised piece. It is an outcome of many different parts: the dancers, passers-by, the space and the audience. It gives a voice for opinion pieces and makes a statement when everything feels annoying and wrong. The three little pigs can be anywhere where you are or least expect it. The piece can be performed every time in a different public space. Living Room examines limited, private and common surroundings around city milieu. In this piece layers, restrictions and freedom are surveyed. Living room creates tempting space for audience and passers-by to stay for a while or longer and enjoy dance, music and warm mood. 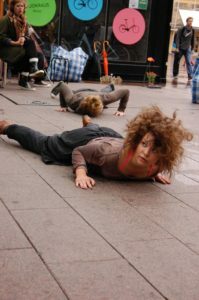 Dancer & choreographer based in Helsinki, Finland.